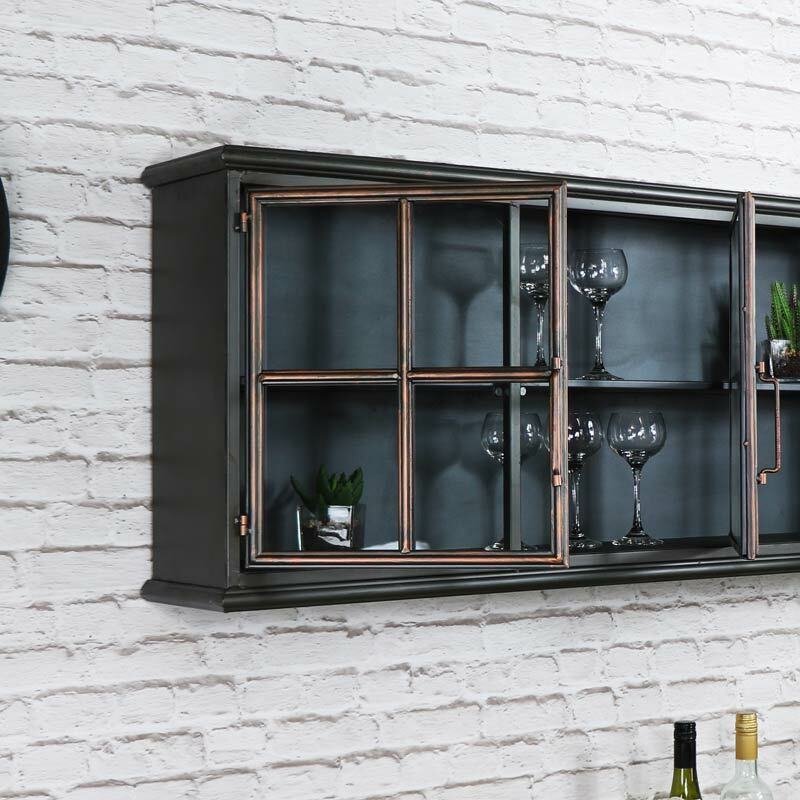 Industrial style large metal wall cabinet, the perfect way to add some storage or display and a rustic feel to your kitchen, living room or hallway. 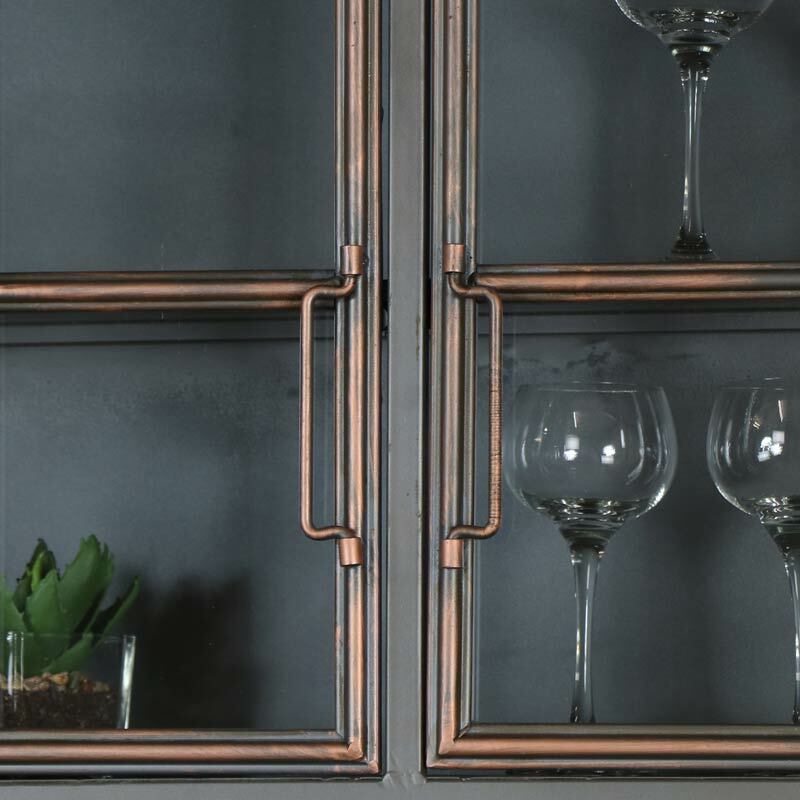 This is a fantastic and quirky design which offers a great storage solution with a glass front and window style doors. Three doors each with wire handles and magentic closing, a long internal shelf that offering plenty of storage space for the living room, hallway or kitchen. 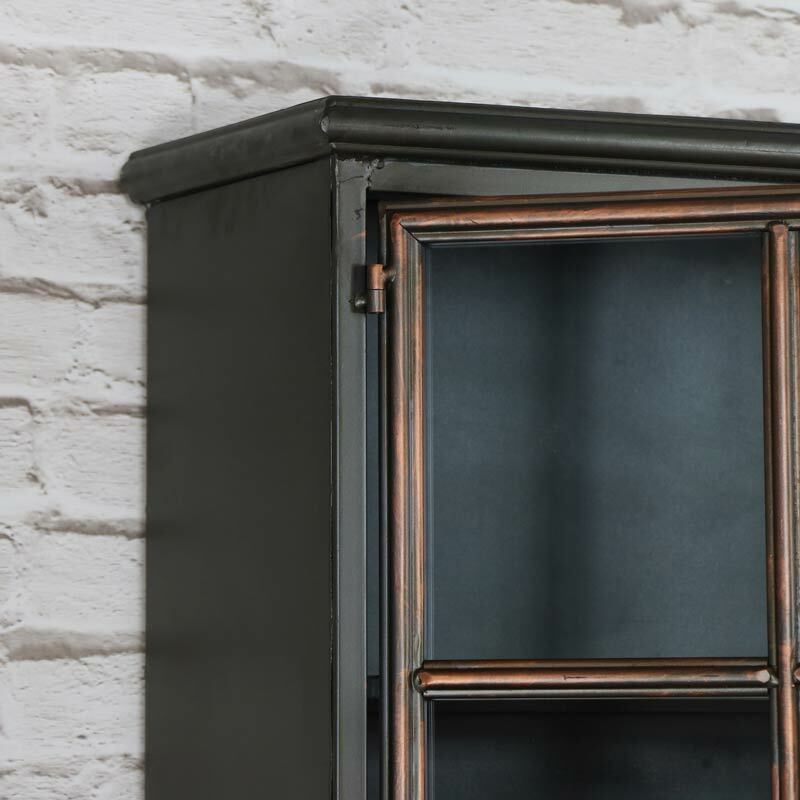 Made from metal in a grey painted finish with 3 glazed window style doors. Use wall mounted or freestanding. Looking for a way to organise your home or work place, we have a great range of storage solutions that will suit any decor. 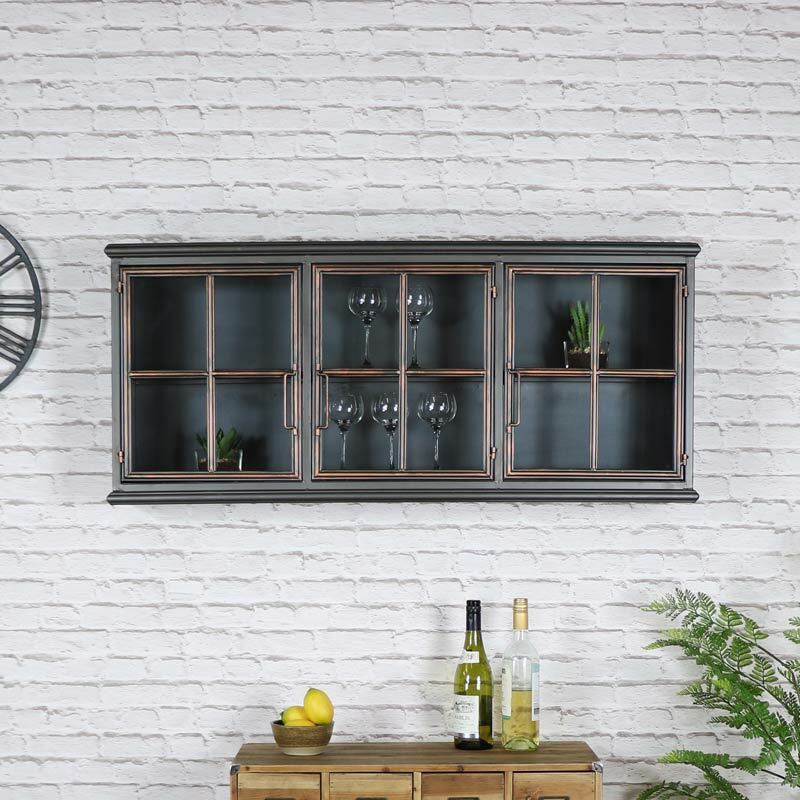 From wall shelves to floor standing shelves in wood and metal, from the vintage, shabby chic to the retro, rustic and industrial.